Freezing provides the quickest and safest squash preservation method. 2 Can You Freeze Sliced Zucchini? Summer squash, which includes the zucchini, yellow and pattypan squash varieties, are a short-lived but prolific treat during the warm season. Fortunately, large squash freezes well, so you can save the excess garden bounty and enjoy it year-round. Frozen summer squash isn't as firm as fresh squash, so it's best used in soups, casseroles and baked goods where the softer texture doesn't affect the finished dish. Summer squash freeze well sliced or shredded if you blanch the squash first, so prepare them in the method that best suits the way you will use them later as an ingredient. 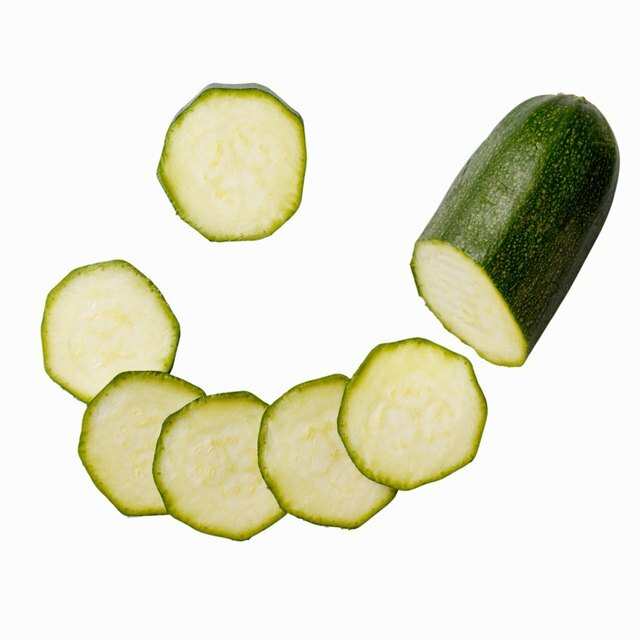 Wash the summer squash or zucchini in cool water before you slice them. Leave the skin on and grate them with a vegetable grater, or slice the squash in 1/2-inch thick slices. Large squash may have tough seeds inside, so slice the squash in half lengthwise and scoop these out with a spoon before preparing. Blanching slows the natural enzymes in the squash so it doesn't discolor or suffer flavor loss in the freezer. Blanch shredded squash in a steamer for about 2 minutes or until translucent, or blanch squash slices in boiling water for about 3 minutes. Cool blanched squash in cold water before drying and packaging it for the freezer. Airtight packaging minimizes freezer burn risks so the squash remains fresher longer in the freezer. A sealable plastic freezer bag works best, but you can also use plastic storage containers. Fill the containers or bags to within ½ inch of the top. If you are using bags, press out all the air before sealing them closed. Label the container with the contents and date you froze it so you can easily identify the contents later. 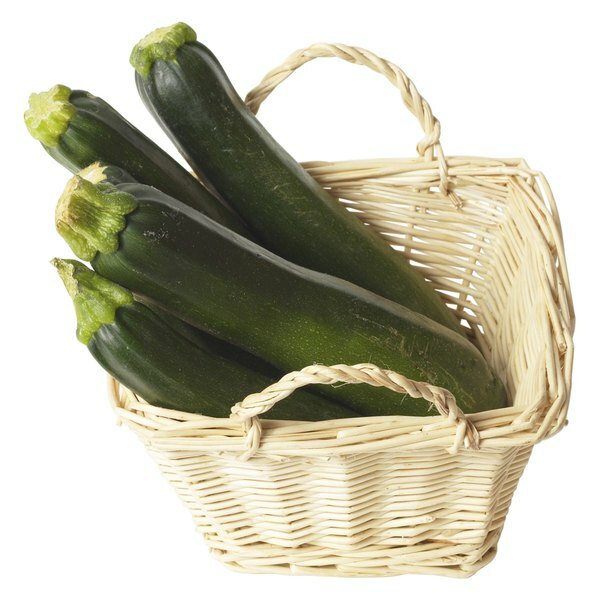 Summer squash and zucchini retain their quality for 10 to 12 months when kept in a 0-degree Fahrenheit freezer. Avoid storing the squash on the freezer door, since doing so may cause it to thaw and refreeze from the temperature fluctuations caused when the door opens. You can thaw the squash overnight in the fridge, which is necessary when using grated squash in baked goods, or add it frozen to a recipe before cooking. Squash is often watery when thawed, so you may need to drain it before using it. Fried zucchini and summer squash make a quick side dish or appetizer, but require a slightly different freezing method that helps simplify preparation later. Prepare sliced squash for freezing, but coat it in cornmeal, flour or your preferred squash breading recipe before you freeze it. Lay the coated slices on a wax paper-lined baking sheet in a single layer, then place it in the freezer until the slices are frozen. Once frozen, you can transfer the squash to a storage bag. When you are ready to prepare, simply fry the frozen breaded squash in a small amount of oil until golden brown. Can I Use Cornbread Mix to Make Fried Zucchini?